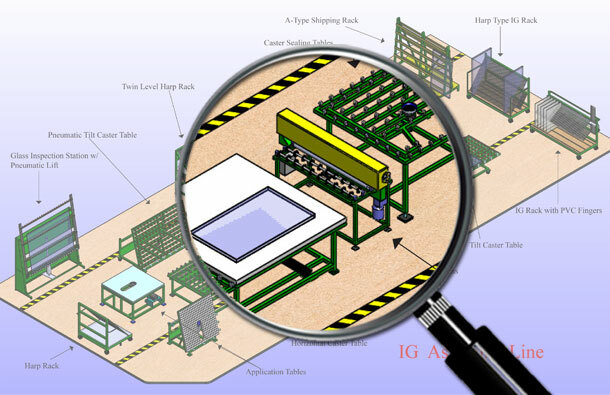 Roller presses are designed to minimize breakage, while providing accurate gap size for insulated glass units. Available options include a heated roller press for heated IG units, custom gap size, extra wide capacity and custom work height. Give us a call and we’ll build one that suits your operation.